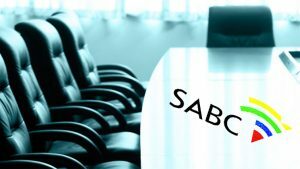 Parliament’s Communications Committee wants the remaining South African Broadcasting Corporation (SABC) board to be dissolved. However before that, the committee wants to conduct exit interviews with willing members who have since resigned. The exit interviews are set for next week Tuesday. The committee wants to investigate the reasons for the resignations. It says too many boards have been dissolved. They also want the remaining members to be interviewed. “Without politicking on the matter on the views that are raised here on the dissolution of the board we’ve never found out the reasons why the board disintegrated into factions and then they get to be dissolved,” says African National Congress Member of Parliament Mzwamadoda Kalako. Parliament’s Portfolio Committee on Communications is shortlisting 24 candidates who will be interviewed to fill eight vacancies at the SABC board. More than 400 nominations were received for the board vacancies at the public broadcaster. The 24 names will be published on Parliament’s website for public comment, for six days. The post Parliament wants SABC board to be dissolved appeared first on SABC News – Breaking news, special reports, world, business, sport coverage of all South African current events. Africa's news leader..